I actually started to write this over a year ago and now it's finally complete. It was originally intended to be posted on June 16 (thus the 16 reasons) but that never worked out. It's not meant to be exhaustive or even all that serious, but I think it gets the point across. Thank you for this beautiful piece of writing. It's my pleasure. Thank YOU very much for reading and complimenting it. This was absolutely brilliant, and much better than a similar article I was planning. Thanks very much, I appreciate that. You were going to write about Joyce as the best ever? Could you please identify the photo of Joyce on this webpage? Wherewhenin? Who is that running behind him? "Joyce after one of his many eye operations, south of France, 1922." Thanks for a very readable, insightful article... Once again I'm inspired to tackle Joyce's rich yet daunting books. You're welcome, Steve, thanks for stopping by and dropping a comment! Glad to hear this has inspired you to tackle his work. 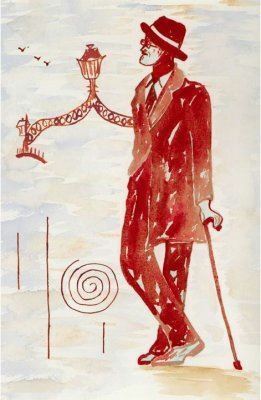 I always suggest folks start out by checking out a book or two ABOUT the books first, my favorite is Anthony Burgess' ReJoyce though Harry Levin's book James Joyce: A Critical Introduction is also great. 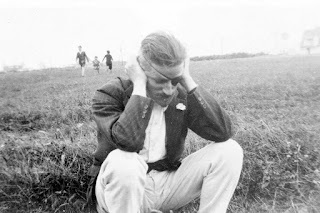 Excellent blog; I'm always happy to find another fan of James Joyce. I've been working on a project where I read all of Joyce's works and blog about them. I'm just finishing up Dubliners, then on to Portrait of the Artist, Ulysses, and Finnegans Wake. @The Wise Serpent: Thanks for checking it out! Good luck on that project. @James: Thanks very much for your inspiring comment. I'm not any kind of scholar, never even got to take literature in college. Just love to read and soak up knowledge. This piece took me a while to put together, was assembling notes and adding stuff to it over a full year before it was done (and now that I've finished Finnegans Wake, I could easily add much more to it). I haven't had the chance to get into Burroughs yet but I certainly intend to. I know Robert Anton Wilson referred to Burroughs as the greatest writer since Joyce. Haven't gotten into Burgess yet either (aside from his writings on Joyce). I remain very open to learning about and experiencing more artists, musicians, etc but this blog is a crystallization of the works I've been immersed in for the last 3+ years. Musically, I've always been very heavy into hip hop at the expense of most anything else. Growing up in Staten Island made me a devout Wu-Tang disciple. And even though I'm a Rangers fan I still do really enjoy the Penguins. Loved watching their recent game against the Flyers. Sidney Crosby is sort of the LeBron James of hockey these days, a real treat. I'm not really used to commentating (is that correctly written? Sorry i'm from Argentina) on blogs but this entry was so beautiful... I just felt I had to say something. Passionate words, dear friend. Thank you so much for this. I'll return to read your other posts. This is awesome. Just getting into Joyce (finally). Loved Faulkner in college and now, 16 years later, going back to grad school to study literature and writing. First course is fully James Joyce. This is an inspiring and wonderful piece you wrote. Thanks. Glad you enjoyed it Rachel, thanks very much for your great comment! Joyce was banned when I was brought up in Ireland. I emigrated to Canada and worked in an Iron ore mine. A young Quebecois student asked me one day: "So what do you think of Joyce then?" I said: "Who is Joyce?" I was humiliated. I joined the merchant navy and at my first port, New Orleans, I went to the library and asked for a book by Joyce. They only had Finnegan's Wakes. I sat down to have a read at it. I did not know what was going on. I thought I had concussion. There were some words I knew, others I half knew, others not at all, others that did not exist except there. I gave up and slunk out of the place with my tail between my legs. Since then I have learnt how to read Joyce. You have to let him come to you. I do that now and then. I am a Joycean now. I rejoice in what he called his "exaltation." I also realize that he would have been proud to hear that an Irish peasant when first reading Finnegan's Wake thought he had concussion. I read two of his poems at my Mother's funeral in a small rural graveyard in Donegal. The local people were mesmerized. You cannot keep a good man/woman down. John Throne. PS. By the way i went on to have a best seller book myself. The Donegal Woman. By John Throne. 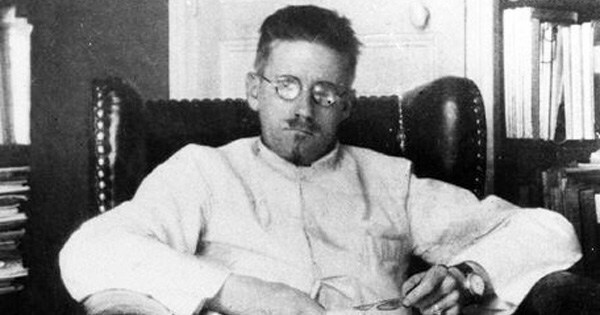 It is a relief to find someone who can articulate a proper appreciation for Joyce in such a small space. It is surprising how he is overlooked in academia today. I just graduated from a decent lit program and was enraged at how, but for one professor of genuine taste, my educators overlooked Joyce, Proust, even Shakespeare for the hacks of American Post-modernism and for all the drab that is contemporary fiction. You've brightened a night of rereading Sirens. Thank you for the great comment. I thought reading at least some snippets of Joyce would be required in any "decent lit program." Puzzling to hear otherwise. Thanks for paying homage to the maestro! What a fabulous read. Kudos. Enjoyed it and agree! Whoa! Say what? If this is written honestly, then thanks a million. That's pretty enormous praise. I agree. I am slightly obsessed and constantly look for new material as I continually annotate, decipher and explore the Wake, and this is by far the most articulate, fully encompassing and informative (esp. in regards to most articles reiterating the exact same info.) beyond anything I have read apart from "Skeleton Key to the Wake" by Campbell or "Coincidance" By Wilson. I can tell you are a fan, and I like your writing style as well.